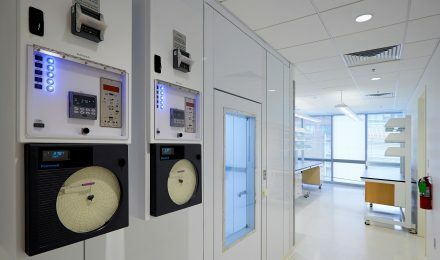 G. Greene has completed renovations to an existing laboratory at Boston College’s Merkert Chemistry Center. The project consisted of a complete upgrade to the lab space and installation of new lab casework, epoxy counter tops, poured epoxy flooring and lighting. HVAC, plumbing and medical gases were also upgraded as part of the project, including a new exhaust fan and heat exchangers. Coordination with the Boston College faculty and staff was essential in order to schedule appropriate shut downs and noise disturbances.